My first exposure to Electronic Voice Phenomena, or EVP, was late at night more than a decade ago, on Art Bell’s Coast to Coast AM radio talk show. 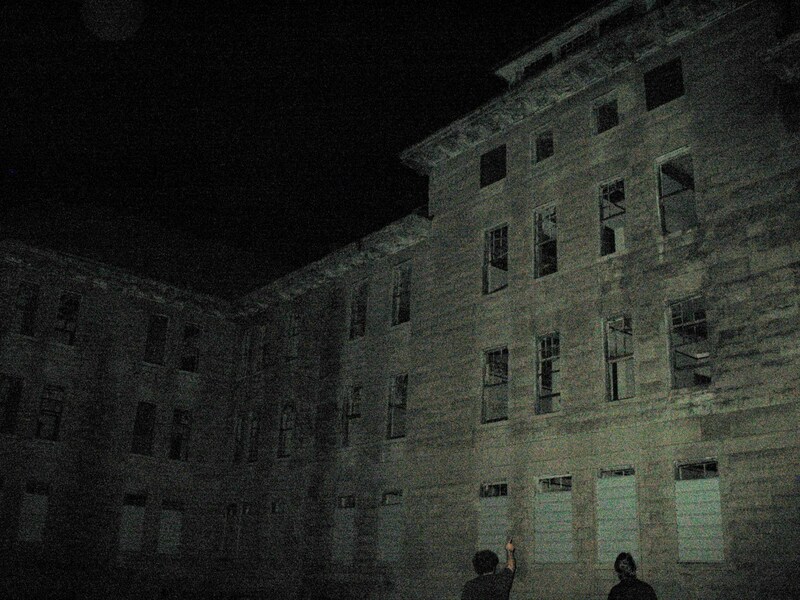 People had been recording in an abandoned mental hospital, and all of a sudden a scary old lady said, “He broke my neck!” Later that night, listeners heard a broadcast over the airwaves of what sounded like a child drowning in a room where there was neither a child nor a body of water. Supposedly, these voices were issued from a world out of reach to the human ears, or maybe the “underworld,” but certainly not from a living person, or at least what we consider to be a living person. The last time I entertained the possibility of personally recording an EVP was about five years ago. I never heard any tangible results, so I went around saying that I was either unlucky or that there were a lot of people faking it. A couple of years later, I trolled about on the Internet downloading as many documents of what people claimed to be EVPs as possible. I ended up having more than 200 of these things, and they varied quite widely. 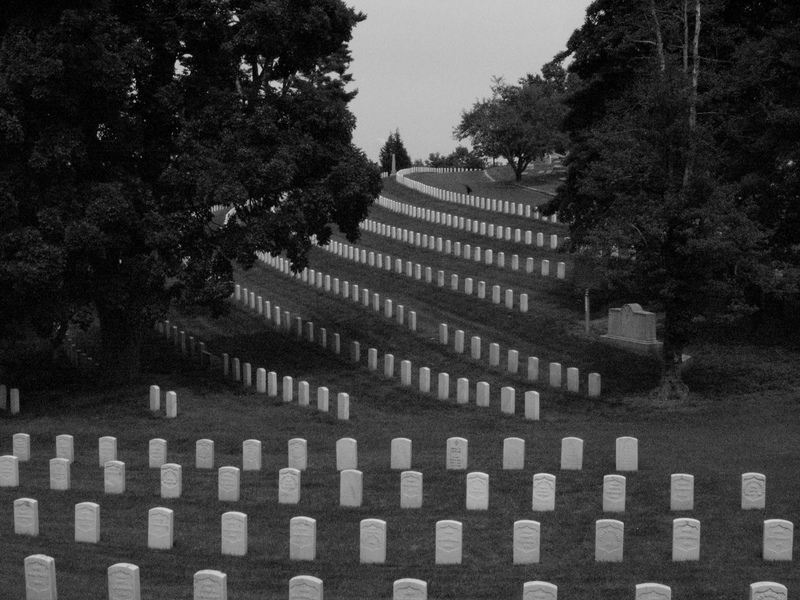 Some of them seemed assuredly fake: Stereotypical zombies moaning in the rustling wind of a desolate cemetery, a woman humming a tune as clear as day for a suspiciously lengthy period of time, or snide teenagers joking in response to the inquisitor’s questions. My research led me to understand that there are two different kinds of EVPs: Residual and Intelligent. Residual EVPs seem to be stuck in another part of time—like a cry from a murder scene from long ago or a voice saying things that don’t pertain to the researcher. Intelligent EVPs appear to be interacting with the person who is recording, telling them to go away or answering questions that they may ask out loud on the recording. A number of researchers have asked questions to themselves in the dark while recording, only to check back to their tape machine later and have an answer. In the early eighties, Sarah Estep claimed to have had blind EVP conversations with Beethoven. On one stormy night, during a mock conversation between herself and her reel-to-reel recorder, she’d like us to believe she later found a rendition of “Moonlight Sonata” played by a ramshackle group of the undead, conducted by one of the Great Ones direct from the spirit world. It appeared on tape, although inaudible to her at the time of recording. Sometimes EVP appears in reverse. It often appears to be site-specific, with the language spoken by the voice appropriate to the location of the recording. But sometimes the voice is slowed down on the recording, or sometimes it appears to shift in age, in the space of one phrase, from that of a child to a man, and so forth. The voices that I found most authentic as EVPs, at least in terms of what humans couldn’t easily recreate, were more mundane or nonsensical: quick outbursts, truncated explosions of energy. I’d hear things like “I’ve been sitting here all day,” “It’s a white night” or “Meet me out back.” There were a number of voices that were more discontented. “I can’t breathe,” “I don’t know if I want to live,” “My chest hurts,” “You little murderin’ tramp.” Most of these sounds were accompanied by an apparent disturbance in the recording, as if someone changed the channel on a shortwave radio and ran it through some kind of wiggly alien synthesizer. I made a private noise composition based on these strange sounds, and, following suit as an experimental weirdo, I took to playing several radios in my apartment at once. I was collecting old ones to get that sort of “alien” sound that automatically makes you think of low budget sci-fi movies from the fifties. One day about three years ago, I had five radios in my apartment going, and from my kitchen I asked my girlfriend in the other room if she wanted coffee. For a brief moment, all of my radios went silent and a voice seemed to say “No thank you,” before turning right back on. My girlfriend never heard me ask the question. And so it was completely natural for me to take an interest in the work of Michael Esposito. In the early eighties, Esposito studied scientific illustration at the School of the Art Institute. Told that everything was going digital, he started modifying computers. After reading about EVPs, he began trying to record them. He explored the frequencies of sound waves that are outside human hearing—infrasonic and ultrasonic waves—and found the results encouraging. 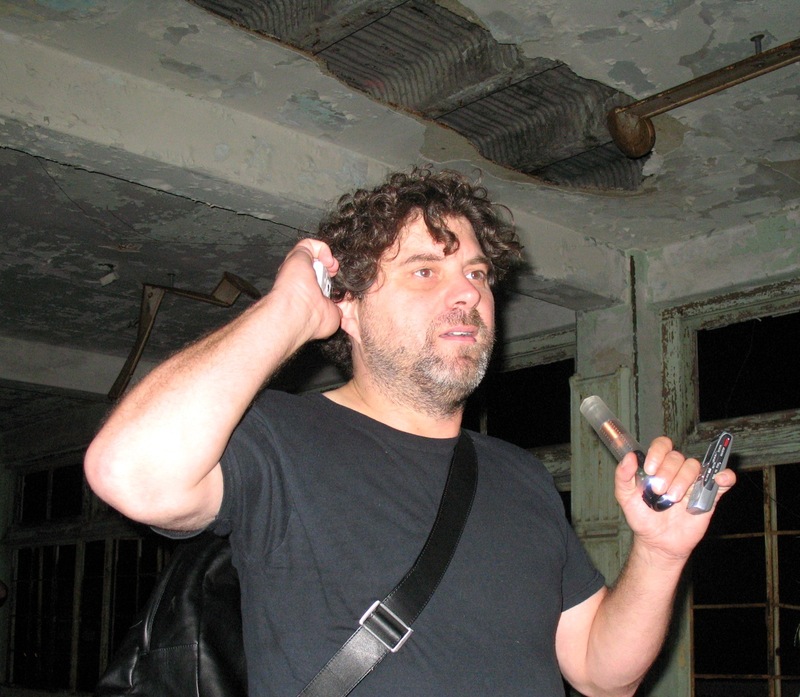 Since then, he’s recorded tens of thousands of Electronic Voice Phenomena in both audio and video mediums. Esposito has a degree in communications and experience as a psychological operations officer in the Gulf War, and he says that “true research in EVP is multi-disciplinary: History, Speech, Pathology.” He studies the dialect and historical surroundings of the body of land before he records there, and he does preparatory invocations in order to help a spirit along. Esposito was arguably born to do what he does. He’s a descendant of Thomas Edison’s assistant Jonathan Harned Vail. Using the earliest recording technologies, Edison and Vail attempted to communicate with the dead. Edison captured EVPs on his first developments of the Edison wax cylinder. Some even say that he and his partners developed the recorder specifically in order to communicate with the dead. Another ancestor, Alfred Vail, was co-inventor with Samuel Morse of the Morse Code, which became prominently used on shortwave radios. Esposito’s mother, a big fan of Stephen King, even told him about her own supernatural experiences when he was a child. Eclipsing the range of many paranormal researchers, Esposito attempts to give life to unexplained pieces of audio by implementing them into experimental music compositions along with the work of various artists. 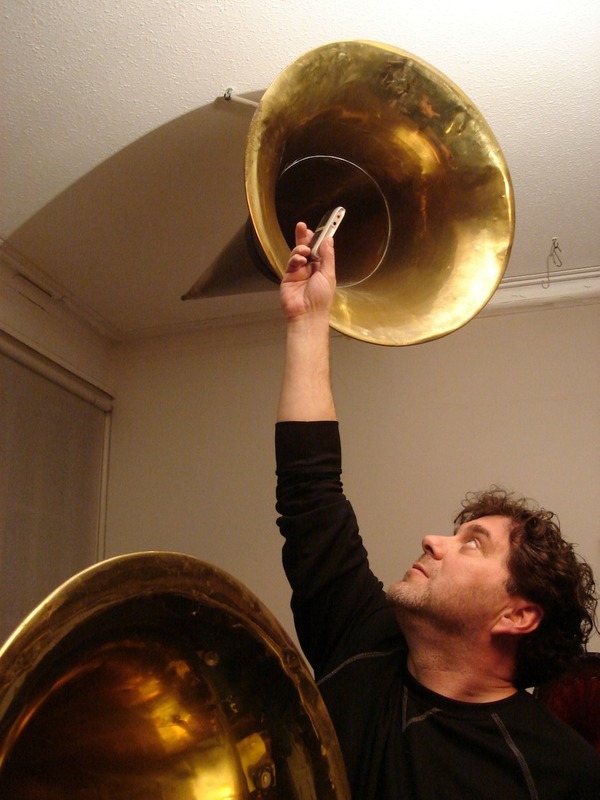 Through his collaborative project Phantom Airwaves, Esposito has aimed to promote EVP research in music recordings. In addition to working with musicians to incorporate his own work with that of the artists, Esposito offers a beginners’ EVP research kit with trial versions of recording software and instructions on how to get started. On the anniversary of Edgar Allan Poe’s death, Esposito’s friend Jenny Stewart went to the author’s grave in Baltimore to record with Ghost Box technology, thinking such an occasion might produce a more interesting recording. This recording will be incorporated into a live musical for pipe organs in an ancient cathedral composed by C.M. 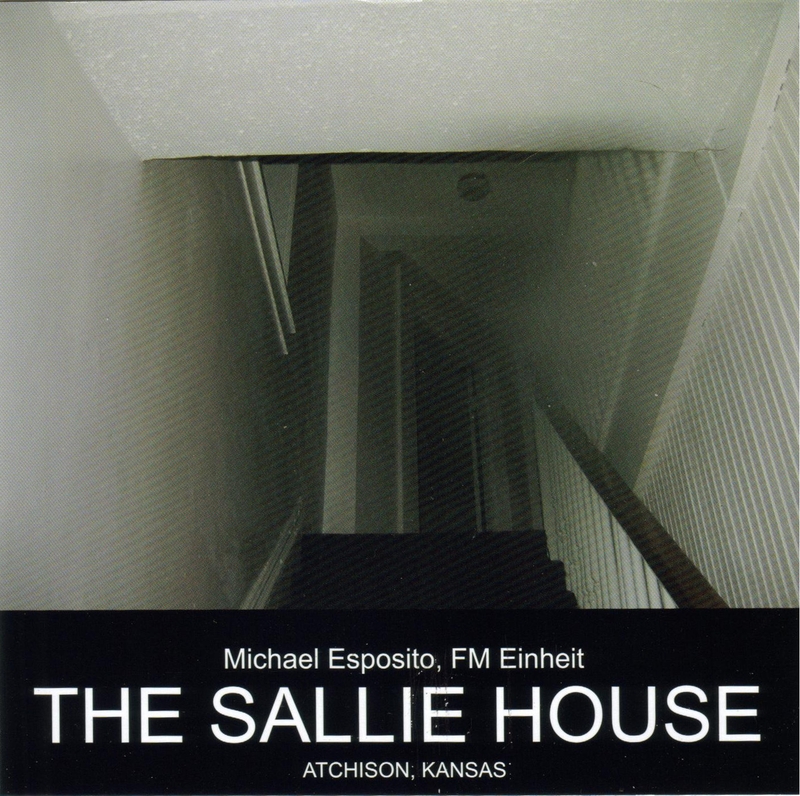 Von Hausswolff and Mike Harding as well as Esposito. When he recorded at the mansion of John Mouat, the man who is responsible for many of the earliest sawmills in Denver, he researched the Scottish businessman and worked with others to render an experimental composition of popular bagpipe songs of the time—the music that the subject of his study likely listened to as a child. In collaboration with Esposito, experimental musicians and conceptual artists John Duncan, Z’ev and Kevin Drumm have appropriated EVPs over their own brand of thick, meditative synth drones among other atmospheric, often metallic accents. At Enemy, Brent Gutzeit capitalized on the extreme frequencies used in experimental music that are thought to be conducive to recording EVPs. He then cut apart live recordings and implemented acoustic guitar parts and machine sounds. At the end of his CD, a woman identifies EVPs amidst short clips of clanging metal and feedback. Electronic voice phenomena have captured people’s interest since the early developments of radio. Early on, people used shortwave radio to communicate in code. In Sweden during World War II, people thought that they were getting transmissions from Nazis in some radio broadcasts, but there were no signs or records of the Nazi’s transmissions. In the fifties, pioneering sound engineer Joe Meek used to record in graveyards in order to capture voices of the dead. Playing with frequencies, especially radio frequencies, is a common medium of EVP researchers, along with “Ghost Boxes” and “Frank’s Box Technology,” machines built to interpret radio waves in order to get voices from radio. Some of them are designed to perpetually scan the tuning knob over and over or to generate white noise that supposedly helps a spirit form words onto a recording more easily. The concept of Electronic Voice Phenomena became popular around the time that Carl Jung’s student, Konstantins Raudive, wrote the book “Breakthrough: An Amazing Experiment in Electronic Communication with the Dead,” translated to English in 1971 and originally packaged with a seven-inch record of EVPs. Raudive partnered with Friedrich Jürgenson, an artist and musician who first discovered bizarre voices he believed to be the voices of his dead relatives or even telepathic connections, and 100,000 pieces of audio. They went on to exhibit them across the globe. Even before Raudive and Jürgenson popularized the concept, Attila von Szalay photographed ghosts with 78 RPM recording acetate, later designing his own specialized “recording cabinet,” long predating the development of reel-to-reel recording technology. Interest in ghosts continued as the technologies that made it possible for people to record them developed. In the sixties, William Burroughs wrote the essay “It Belongs To The Cucumbers,” describing his own response to Raudive’s approach, comparing and contrasting the voices he found to his own cut-up speeches, “dream slang” and the responses of people who’ve subjected themselves to hypnosis. It is not necessary to have a specific device, and some EVP researchers, including Raudive and Jürgenson, have claimed they captured voices on a tape recorder without even plugging in the microphone. However, Esposito prefers to use open reel or cassette. As part of his Phantom Airwaves project, he has even released EVP on a wax cylinder, citing a preference for using a medium that was part of the lives of his suspected subjects. Esposito notes that sound has had a profound impact on people’s experiences and emotions throughout times and cultures. He says that certain orchestras used to “pink out” a concert hall for twenty minutes before a performance. They would play nothing but pink noise, or noise in which the amount of energy per hertz is inversely proportional to its frequency. They believed playing these congruent frequencies would “absorb any echo” and generally make the audience more responsive to the music. Esposito also draws from early Tibetan and Celtic traditions, playing singing bowls and tuning forks to produce frequencies that might resonate with a body of energy before he hits the record button on his video camera. At an abandoned tuberculosis center, he used certain “healing frequencies” intended to help breathing and heart problems. Sound is powerful, but when I try to talk to people about Electronic Voice Phenomena, most just roll their eyes. They picture some loony tune spending hours going over a mundane field recording, finding voices that are not really there. That it’s just an anomaly, an accidental audio artifact from a distant, unaccountable utterance, or a simple static interruption. What set Esposito apart is his desire to marry science with art and mysticism. He makes no bones about it that he is into the mystical side of science. For example, Esposito does use dowsing rods—a Y-shaped metal rod intended to detect levels of an electromagnetic field, at least according to consistently unfounded scientific claims. But ultimately, Esposito relies on scientific results just as much as he relies on ostensibly impractical research methods. Esposito has also partnered with Heidi Harman, a Reiki master, energy healer, sound healer and medium who practices scrying, or seeing things psychically, using pendulums. He is a person who believes very strongly in the power and vibrations of sound. His essays expound upon all the possible abilities and uses of sound; they aim to “ultimately explain what happens when we die” as well as the dynamics of sound vibrations. Like Guglielmo Marconi, innovator of radio technology, Esposito believes that just because we can’t hear it doesn’t mean that every sound that was ever made isn’t still out there, endlessly echoing through the universe. It’s just out of the range of human hearing. While he does say that he gets better results around river towns or places where something severe has occurred—perhaps because of electromagnetic energy and tectonic plates of the earth creating vibrations—Esposito seems to be able to capture voices anywhere he sits down to record. Esposito says EVPs form through what he calls a “granular synthesis” that arises from layers and layers of emotionally charged expressions. These ghost voices form through compression—much like rain clouds compress gases into liquid. Especially since the development of radio and recording technology, people have attempted to manipulate others using sound in various ways. In the 1960s, scientist Vladimir Gavreau developed “sonic defense” and “sonic weaponry,” including infrasonic frequencies that clung to the ground and deterred people yet were inaudible. Vietnam Psychological Operations officers amplified theoretical “sounds of the dead” from their helicopters, making people sick. Eventually, the victims feared for their own lives and fled. When Walt Disney and his artists were working with cartoon sound effects, they slowed down the sound of a sewing machine to one third of its normal speed and played it through a theater sound system. Everybody reported crippling nausea for weeks. When I asked Esposito about the “Feraliminal Lycanthropizer,” a synthesizer that supposedly combines a complex stew of danger frequencies with slowed-down tape loops to arouse animalistic killing instincts and strong sexual appetites in soldiers, he was skeptical. “I’m not sure a feraliminal lycanthropizer is as effective as a woman leaning against the spin cycle on the Maytag,” he says. He’s also dubious of claims about Tesla’s famous “Earthquake Machine,” a vibrating machine that emitted high frequencies inaudible to the human ear but was claimed to be destructive enough to raze buildings. 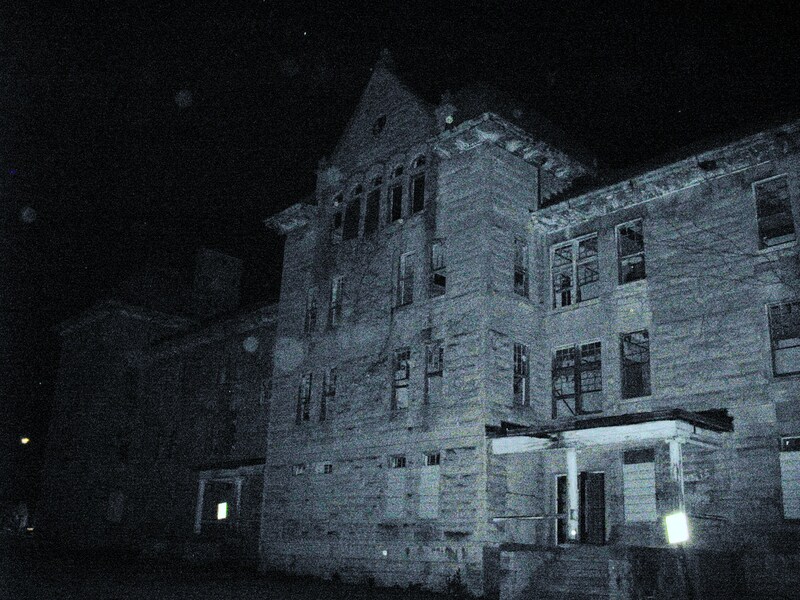 In one of his many ghost stories, Esposito says he was on an investigation at Waverly Hills Sanatorium, an abandoned tuberculosis sanatorium in Kentucky. He was with his research partner Heidi Harman. At the sanatorium, Esposito and Harman had been trying to record EVPs, with little success. “Our equipment was malfunctioning at every turn and it was very hot. We were in an outer hallway where they used to roll the patients out to get fresh air. It was a cloudy moonless night. Heidi was standing in front of me and she asked me if I had a strange feeling. Just then I turned around to see a guy in a red shirt standing right behind me. I could see the color of his skin, the shirt and his black hair. Just then he darted away from me. It may seem too unscientific to a lot of people, but I’ve found Michael Esposito to be refreshingly sensitive and scientific in comparison to what I’d seen—regardless of his use of dowsing rods and scrying. He even says he quit using tarot cards because of a streak of bad luck. Unlike my own research into EVPs, Esposito has always been direct and has backed up his claims with evidence. He’s now working on recording EVP underwater, at high altitudes and underground. I’m willing to accept that my ghost experiences may have just been hallucinations, lesions on the brain, psychosis, or maybe even wishful thinking, and I’m willing to consider the possibility that Electronic Voice Phenomena are a series of electronic anomalies that don’t relate to the spirit world at all—what we say could just be a smoke that dissipates and is irretrievable. There’s even a term for the mind’s tendency to imbue meaningless sound with significance—pareidolia. But I find it both refreshing and slightly unnerving that, either way, neither science nor paranormal research has shown, at least to the general public, the cause behind these unrelenting happenings spanning over a hundred years. I do believe that subsonic frequencies are used to manipulate people, and for me the only question is to what extent. If what Esposito says is true—that voices can be captured at any geographic location, and that perhaps wherever we go, there are secret and chaotic voices bouncing off of the walls, shadows under every crevice keeping tabs on our private moments—it’s disturbing to think about. I don’t find any comfort in the possibility that we are never alone. There is already enough surveillance in our reality. Still, the notion that sound rolls around us like dust bunnies, like tumbleweeds through the ghost town of a reality just out of reach—it brings out the little kid in me.